English gardens are a lot like buses. Especially the number 10–from Hammersmith to King’s Cross–during the current roadworks in Knightsbridge. I think I probably averaged around three garden visits a week this summer. It was a hard job, but I was dedicated to the task at hand, with eight long years of catching up to do. But now we have reached cold old December, many gardens have closed their gates for winter and most others look a little (understandably) tired and same-y. And so, in large part, I have hung up my boots ready for the wonderful deluge of bulbs come Spring, accepting the unfortunate correlation with bus arrival times. There are some positives to be had, however. Do you remember me promising to post about the London Square gardens I visited, way, way back in…um…shall I admit it?…June? It turns out it’s pretty uplifting to sort through these photos and be reminded of that abundant, fresh spring growth and warm, comfortable temperatures and the joy that will, inevitably, come round again before too long. So in between the three indulgent trips we have booked abroad this winter, which I’m hoping keep me sane for this first, already somewhat challenging winter (and enable some unscheduled garden arrivals whilst we’re there), I’m very much looking forward to revisiting–at least through my Mac–some of my favourites from the year that got a little swept aside by the lure of getting out to the next. First off the blocks is Courtfield Gardens West. This was ridiculously stunning. It was also one of the three gardens I had most requests to write about. But–you know I’ll be asking–why was it so good? Courtfield Gardens West isn’t a square of grass with plants around the outside. It’s a thoughtfully laid out oasis of balanced masses and voids with multiple pathways, screened off sections and surprises every which way you turn. It’s like an adventure visiting for the first time, not knowing what you might find, but compelled by the last delight to keep exploring and find the next. There is incredible variety, in planting material, planting style, ornamentation, functionality; it really feels like there is something (lots of things!) for everyone here. I particularly liked the fun, engaging but incredibly beautiful children’s playground, with not a piece of primary-coloured plastic in sight. My very favourite surprise, however, was the wildlife garden. With dapped shade twinkling through the leafy trees, highlighting reflections on the pond and pops of native flower colour, it was somewhere you could happily spend all day. 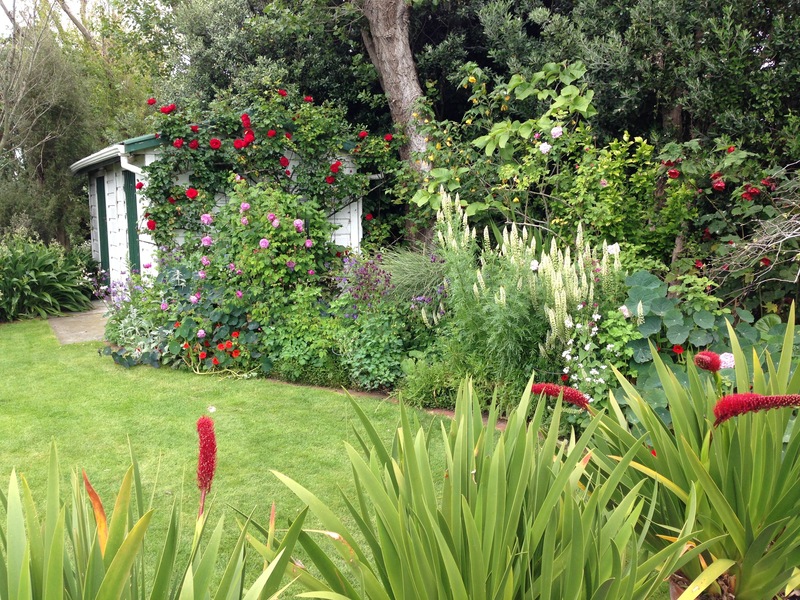 It’s not uncommon for gardens or squares to have a corner of ‘wildlife garden’. However, these are more frequently dumping areas for compost and timber where nettles grow to the mutual benefit of insects and tired, overworked gardeners. The wildlife garden at Courtfield was in a whole new league of its own. This wasn’t a ‘leave it and see what happens’ garden. This was an immaculately planned garden with all the essential elements–ponds, raised water bowls and other diverse habitats–required to maximise wildlife interaction. All put together with the most stunningly beautiful aesthetic. I loved that they hadn’t been put off by the health and safety police (a simple, unobtrusive, rustic fence protected children from the water), they hadn’t been put off by the ‘messier’, less controlled look of a naturalistic garden (they enjoyed both formal and informal areas) and I loved that this section of the garden had come about by someone seeing a wonderful win-win with a filming company and fighting through red tape and committee meetings to deliver something so special. It warmed my heart that the time and effort (and presumably head bashing) to achieve this for everyone was clearly deemed worthwhile, despite the busy, busy lives we all lead. It wasn’t just the wildlife garden that warmed my heart. I chatted to one of the residents who had volunteered his time over the weekend to welcome strangers into his square. Pride and passion exuded from this chap; the garden clearly made a huge difference to his quality of life and he was full of enthusiasm to share it. Whilst the garden was professionally designed, I still sensed there was a wonderful connection with the residents. This garden was so special, so unique, so beautiful that surrounding neighbours couldn’t help but be drawn in, dazzled and elated. Gardens like this don’t come cheaply and there was meticulous attention to detail in the planting and maintenance. Seemingly, the residents felt it was worth every penny and I got the sense this was probably one of the most intensely used squares of all. Not just because there was so much to it, but because real thought had been put into its use. There were all sorts of seating types, in all sorts of places, from the open bench looking across the lawns to private, quiet spots in which to enjoy a moment of solitary reflection. It was a garden made for using. At the Brooklyn Botanic Garden last week, we looked at complexity and coherence, amongst other characteristics, and I think these two elements perfectly sum up Courtfield Gardens West. There is so much to them, so many layers, so much variety and yet with very clever structure and planting the whole is entirely cohesive, one area flowing seamlessly on to the next, each the richer for the contrast of the other. Of the twenty gardens I saw that weekend, this is the one that has most stuck in my mind over the last six months. This is the square where I’m always searching for ‘for sale’ signs as I walk past. Some gardens have such impact on you, just one visit can last you a lifetime. Maybe it’s useful that English gardens are like buses, or my head would be full to bursting with no time to rest and reflect. We value and appreciate the ephemeral things in life; perhaps I can get used to these part-time gardens, when they bring so much joy for those wonderful, few, short months of pure magic. I was amazed to see a label, from Victoria, Australia, still attached to this beautiful, thriving tree fern (Dicksonia antartica)! How delightful Janna! I love the play of light and shade through the trees and the thoughtful, restful, planting scheme. 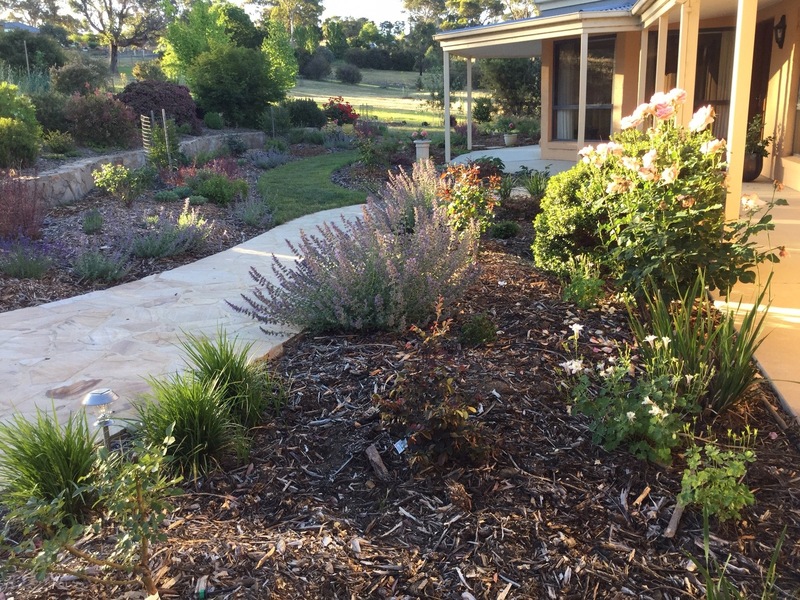 It has given me more ideas for my next garden back in my beloved Dangenong Ranges. Hopefully The right for sale sign comes up for us both. Your references to three planned trips —- An intriguing ‘teaser’ for us. It’s beautiful, isn’t it? And I’m glad it’s given you some ideas. The majestic trees in the square certainly provide some resonance to the Dandenong Ranges. It sounds like your new garden might be closer than I thought, timing wise. I’ll keep all my fingers crossed for the perfect place! Thanks Janna and me for you! We are almost ready to get the agents in. Garden is looking lovely so it MUST be time to sell. Exciting! Good luck; I am sure many will fall in love with your garden. The gardens all look gloriously green and lush, especially as it is getting hotter and a bit windswept here….so you can dream of English summer gardens all through winter! It did take me a while to get used to Canberra’s straw colour. We arrived in late February, so you can imagine. But then I fell in love with it. I do think beauty is found is the uniqueness of each region. So we’ll have our green and you’ll have your hot, windswept Springs but each is gorgeous in its own way. Hope the summer is kind to you (and your garden! ).